JSKYE solar panels are designed and manufactured to the highest standards of quality, performance and durability. The grid-tied and off-grid products from JSKYE come in a variety of sizes and power, making them suitable for all applications – from a remote power generator to a large-scale power plant. 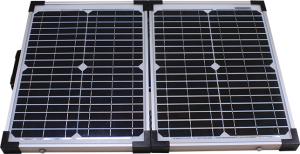 JSKYE Plus monocrystalline solar panels are available in both silver or black formats. These modules meet our stringent JSKYE quality standards, exceeding all industry standards and certifications. They also carry our 25-year warranty to guarantee maximum performance through the lifetime of your system. Don’t just take our word for it, we have third party validation of our performance and reliability. 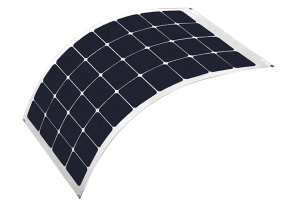 JSKYE Plus polycrystalline solar panels are available in both silver or black formats. These modules meet our stringent JSKYE quality standards, exceeding all industry standards and certifications. They also carry our 25-year warranty to guarantee maximum performance through the lifetime of your system. Don’t just take our word for it, we have third party validation of our performance and reliability. Solar Flexibel panel is aerodynamic and DURABLE—a virtually unbreakable solar battery charger for RVs, boats, work trucks, long-haul trailers, and sleeper cabs. This solar panel conforms to almost any surface and is designed to provide a powerful charging solution for batteries. The high-efficiency monocrystalline cells produce more power per square foot than any other flexible panel on the market. An impermeable lamination coats the entire Solar Flexibel panel , allowing it to contour and flex against curved surfaces, eliminating any need for custom mounts. The panel can be affixed by adhesive or screws, and grommets are provided for ease of installation. The thin, lightweight module can also be sewn into canvas, making this a truly versatile solar module. The rugged durability of our solar panels guarantee you will generate solar power everywhere you go. Our Portable Solar Kits comes with everything you need to charge your batteries while you park in the shade. The included 15 ft cable and optional 30′ extension cable allows the portable solar panel to sit in the sun and is not only ideal for smaller campers, boats and pop-up trailers, but can act as a supplement charger to our larger solar kits or systems. These kits provide you with flexible and easy battery charging solutions – a true Plug & Play solar unit that does not require permanent installation and is maintenance free. It is so simple to use, anyone can set it up in minutes.